Top/Koszulka: H&M, Pants/Spodnie: Mango, Shoes/Buty: Nine West. you? Well, in order to drag the eyes to just the print, stick to one print rather than mixing prints together. It will look great on you, I promise. 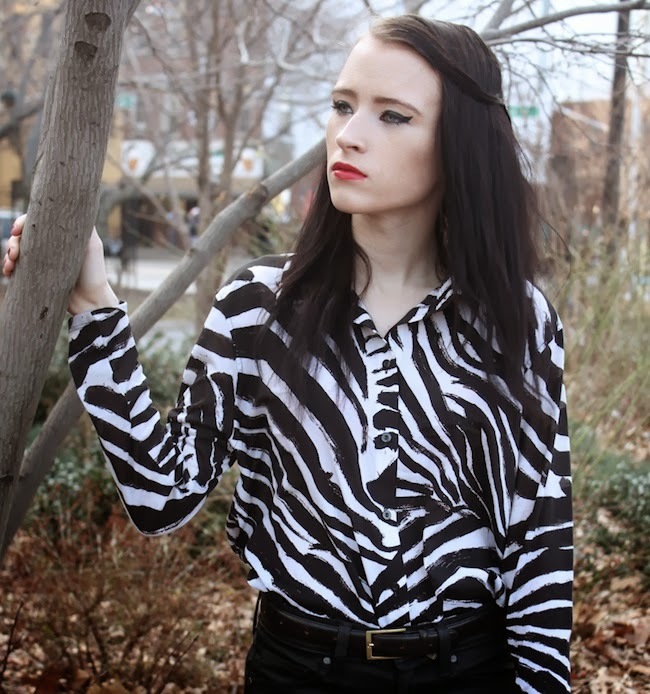 In this case, I have put together a little outfit based off of my zebra print top. I stayed with a neutral palette consisting of shades of gray, black, and white. As well, some of my accessories are gold, but thats fine. And what did I end up with from doing this? A beautiful classical look that drags the eyes to my top! I adore the print of your shirt. It is so stylish. I have loved that print for awhile and I really want something in that print. wow awesome ^^ love the style! Perfect! <3 pants and shirt lovely! este look es fantastico! tu camisa es genial! Piękna koszula i świetne buty ! New Post on www.dresscodefabulous.blogspot.com : My christmas outfit! Great outfit and great makeup! What a good shirt! You look good....love it! Lovely! That top is gorgeous! :) great outfit! we are loving the monochrome look!! that top in particular is gorgeous! you look fab. Adore your shirt. love the black and white, and your makeup is to die for! wow how beautiful! i love this make up on you! and the shirt and shoes! really a great look! Urzsula, I hope you had a lovely Christmas and may all your wishes for 2014 come true!